Defrost the frozen pie dough and place on a round baking dish. 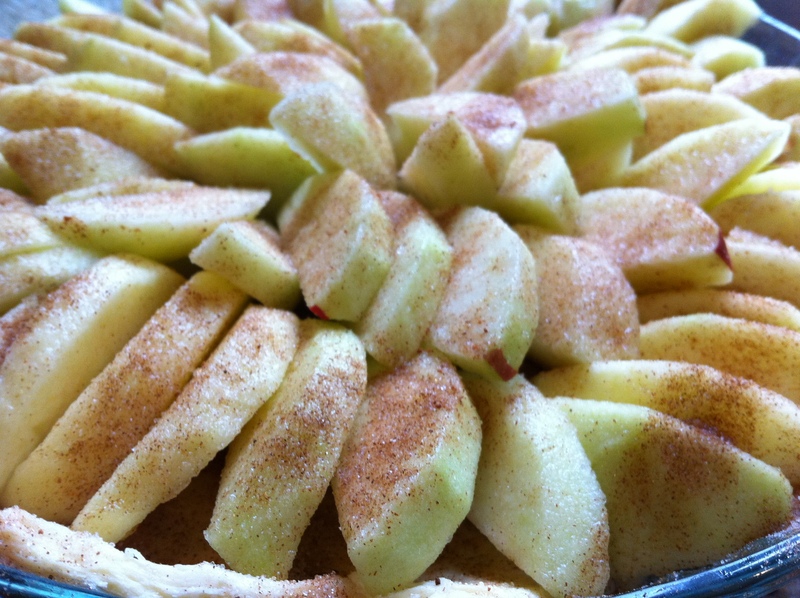 Sprinkle dough with cinnamon, then fan out the apples on it. Sprinkle more of the cinnamon on the apples. Bake it at 425 for about a half hour. When done baking, microwave honey & vanilla extract and brush it over the apples. Serve warm with vanilla caramel ice cream. I wish I were allowed to eat this kind of stuff, but I am in a kickboxing class and the diet they have me on is very strict! Hahaha. Looks delicious though!